This entry was posted in Racing on January 21, 2011 by Steve Tilford. It’s sleeting and cold in Mol at 9 pm. I hope it becomes an epic day tomorrow. 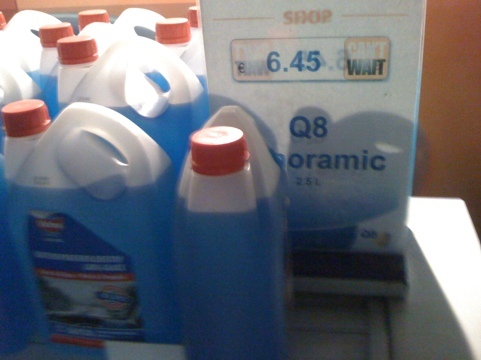 Mainly for mental focus. It’s easier for me to focus when the conditions demand it. This trip hasn’t been my favorite bike race trip. Not even close. But, no matter how it turns out tomorrow, it is still really great. Usually I would pay to do what I do, but this trip might be something approaching work, if that makes any sense. I don’t get that much satisfaction usually racing Master’s events. It’s closer to a relief than excitement when it’s over. I would much rather be just starting the World Cup in Hoogerheide, than win the race tomorrow. But, that is just the way I am. That being said, I still would not trade where I’m at now for nearly anything. It’s the ride and not the destination that matters. I have to try to remember that at times like this. 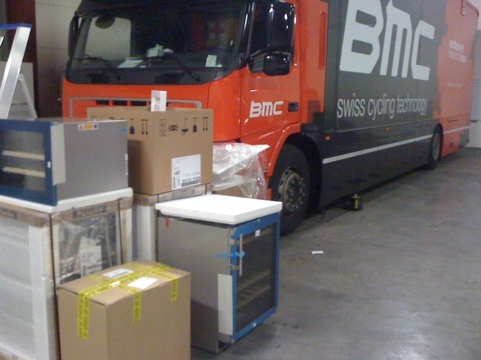 A pile of stuff going into the new BMC Team bus. Notice two of the items are wine coolers. My kind of bus. I haven’t seen cigarette machines around for awhile. 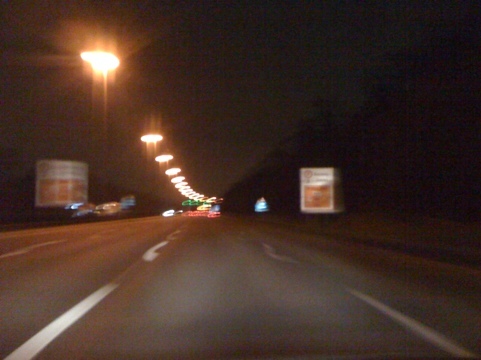 All the Interstate-type highways are lite here, natiowide. . This must take a ton of electricity. Steve, I’m so glad your bike and stuff finally arrived, and that you and Trudi arrived safely as well. Wishing you and our local crew all the best over there! 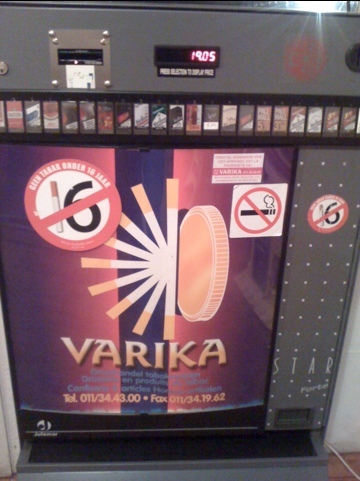 With regards to the photos – cigarettes look super expensive at 19.05 Euros – unless that was the time being displayed. Belgium is the home of Van Hools – one of the best tour buses made in the world – I know because I drove one in FL for 10 years. In your photo is just a straight (single unit) Volvo truck with a custom cargo unit – probably without air-suspension – but I am getting too technical here. Think of all the people in the world that cannot leave their job to travel – because they have to work to pay the mortgage and the car loans – that should put everything in order. Maybe Eddy Merckx might show up to the race tomorrow if it is not too far away from his shop. They tend to have a lot of the lights on solar now and at least in France they don’t do coal, pretty much all nuclear power, I believe 58 plants total. Belgium has 7 nuclear plants which provide for half of the electricity in the country, not to shabby. yesh, who cares how much electricity you use when you’ve nuclear. Ted, I’m thinking about buying charter bus, You’re correct though, Van Hools are the best.